In a water bath melt chocolate and butter. Mix in eggnog and coconut flakes. Refrigerate for 30 minutes. 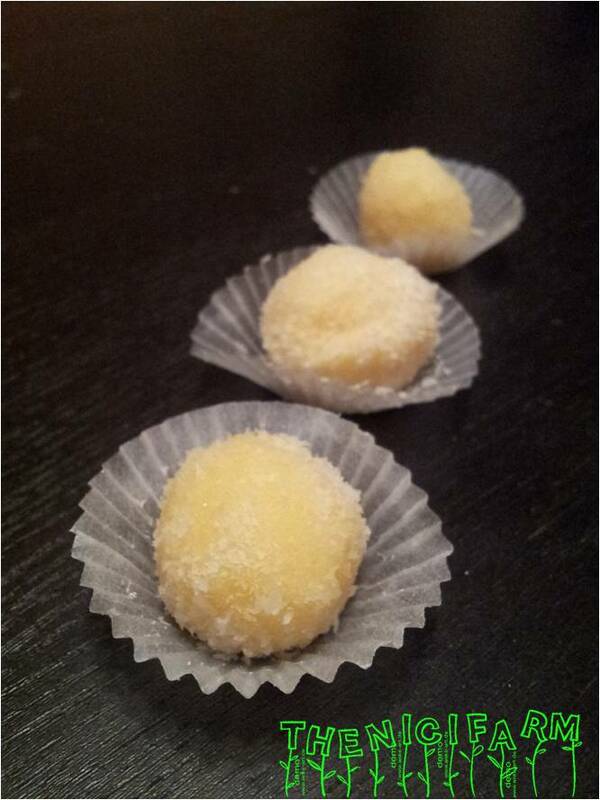 Form small balls and roll them in coconut flakes. Refrigerate for another 30 minutes.